Your work is done… for the moment. But how can you make your photo delivery work for you? How can you deliver a product that keeps giving – in photo revenues, customer referrals, and social shares? The wedding photography industry has come a long way since the days of delivering photos in a photo album or even CD or DVD. Clients want their photo galleries digitally, delivered the way they view everything these days – on their phones, via their email – just make it easy and fast to scroll and take the next action. With all the options now out there, how do you decide what photo delivery method is best for your workflow and business? Here’s 4 top ways to deliver wedding photos to the happy couple. Yes, this still exists! Some photographers are clinging tightly to print products – and it’s understandable. Wedding prints and albums are beautiful, and they’re easy to mark up to include handsome revenues for you, the photographer. Pros: With print partner options through services like MPix or ProDPI, it’s easy as wedding pie to pick out personalized packages to offer your clients and have them drop-shipped directly to them as you collect the revenues. Cons: Let’s face it – print is dying. Clients want the freedom to choose their own ways to memorialize their special pics – whether that’s a photo book (bye bye, traditional album! ), canvas wall hanging, or modern metal print. For photographers who still want to have an actual physical (and branded) item to send to your clients, a flash, or thumb drive, is still an option. You simply download the final images to the drive and send it to your clients. You can divide the photos into sub-folders or sub-albums (such as rehearsal dinner, bride getting ready, etc.) Try USB Memory Direct or Flash Bay for custom, branded flash drives. Pros: A user-friendly deliverable to send your clients in branded packaging, flash drives provide a way to share photos digitally and by snail mail, at the same time. Cons: Once the flash drive arrives, that’s the final product with not many options for further revenues like print or product sales. You’re giving the client full use of the final images, and that means they could simply order prints from Walmart online. If that doesn’t make you cringe, well, then, carry on! Ahh, we’ve made it to the present. 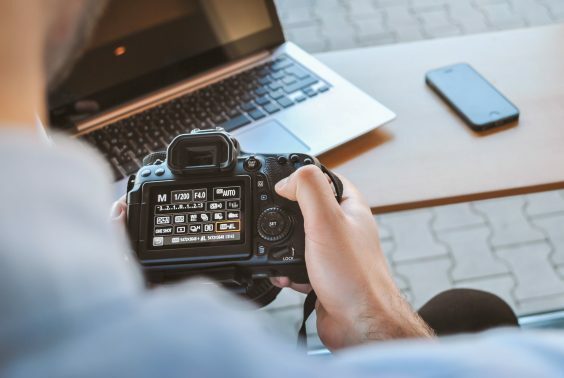 Many photographers these days choose to share photos (or at least backup all images) via a cloud service where users can easily access the images. There’s DropBox, Google, Amazon S3 and more, where you can store and share folders of images with anyone you want with as little as a link. Cons: Monthly fees, no branding, unless you have a watermarked version of your images to share. And, anyone with the link can access the photos, which limits photo revenues to one purchase. Fast becoming one of the most popular ways to share photos, these album and gallery sharing sites are a one-stop shop for photographers to host, share and deliver photos with options for clients to purchase prints, photo books, and other products. Popular on this list are Pixieset, ShootProof, and SmugMug. Say hello to the future! For photographers looking to deliver photos more seamlessly, mobile photo delivery is the answer. And you can see, the big names (see No. 4 above) are quickly making the transition to mobile. But there is a new option there that focuses on mobile delivery with one big standout feature: facial recognition offered by Waldo Photos. That means ALL the guests at the wedding (because they’re dressed up too!) can simply text in a code (chosen by the wedding party) and then get texted any photos from the wedding they appear in. They can view those watermarked photos and purchase them to download a high-res version that they can print, share on social, or just view on their phone or computer all day long. That means your photos going further. Your sales going higher. And your galleries getting more traffic – a perfect way to get your next booking. Learn how Waldo provides mobile photo delivery powered by facial recognition to wedding photographers! ← WaldoMoments: Be brave, be kind, lead on!